Start your adventure in style at Ace Lucky Casino! Create an account and deposit minimum £10 with the code PANDA1 in order to receive a 100% bonus up to £200. 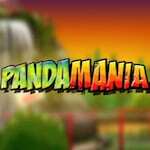 But that is not all because you will also get 20 bonus spins valid only on Pandamania. Use these to have tons of fun with your hobby. Wager the bonus amount 50 times before making any cash-outs. Get your hands on this offer and have an unforgettable time!